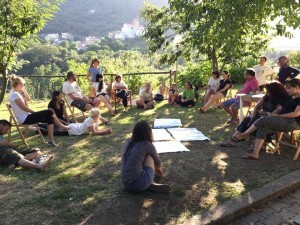 Eco-building a better world is an European project under Erasmus+ Programme that was held in Tramonti, in the Amalfi Coast, from the 1st to the 10th of September 2015. The project was a training course with the aim to enable youth workers to gain knowledge through non formal learning and informal learning (with real experiences) to transfer in their daily work with youth. When people from so many different countries are gathered together they can exchange ideas and knowledge with each other and not only with the leaders of the course. This is an important objective with this types of courses and those of the Erasmus+ programme. This training course was held by Acarbio in partnership with the Greek organizations Solidarity Tracks and Cob. 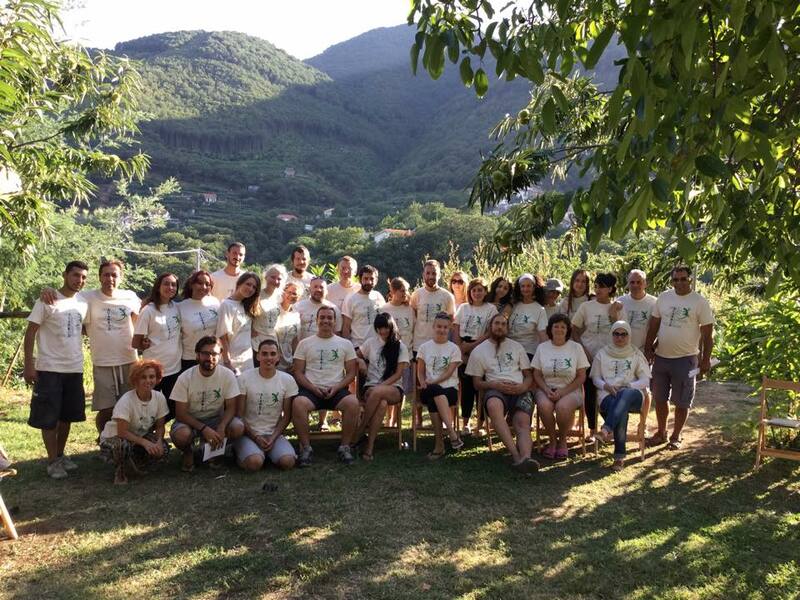 During this training course there were 32 participants from Greece, Romania, Ukraine, Croatia, Spain, Jordan, Georgia, Moldova, Belarus, Egypt, Latvia, Estonia, Macedonia, Armenia, Lebanon and Italy and they all were eager to learn theoretically and practically about eco-buildings. The participants were young leaders or youth workers who wanted to earn skills, build relations and to learn methods of how to build green houses. After this course they wanted to be able to implement this knowledge in their own countries. They came here to learn about greener lifestyle and to raise awareness of the importance of taking care of the natural resources we have. Of course they also wanted to enjoy the beautiful nature of the area and interact with the locals. This training course was divided in 3 blocks of activities, one task was to learn how to execute an insulation of an old barn. 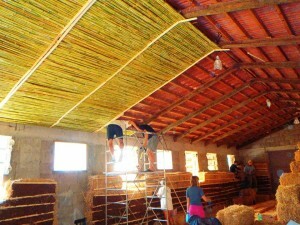 Through this the participants could learn that it is possible to use a simple and naturally friendly building technique to achieve a building with efficient energy consumption and thermal isolation. This isolation was made mainly with natural material. The base of the walls where build with stones, mixed with lime and volcanic sand in order to create a stable base. 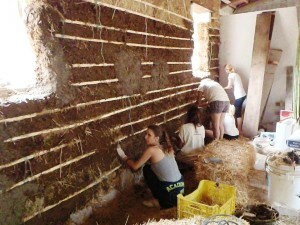 Further up the insulation materials were straw bales that where cut in the right size and then covered with local natural material such as stones, clay, pumice and sand. Also the roof was isolated with straw but instead of plaster it with clay canes coming from local rivers were used. In the future this building is supposed to be a place that can host activities about local sustainability such as educational activities and workshops. The participants also learned about how to build a BIO-digester for producing natural gas and for those who wanted to learn how to build it practically there were also a possibility for this. 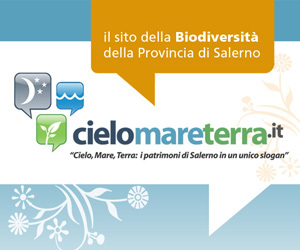 Other participants worked with creating an online tool for how to build ECO-homes. During their free time the participants enjoyed Tramonti and the Amalfi coast by going for excursions, visit the beach and towns along the Amalfi Coast. They also went to a concert in Ravello and a local festival in Angri . An international dinner was held as well and organized by the participants. I hope everybody enjoyed the time they spent here and that they got knowledge out of it that they can use back home. They all did an amazing work and all of them were really open minded and great people, so a big thanks to you and also to all the local volunteers that helped us during this training course!